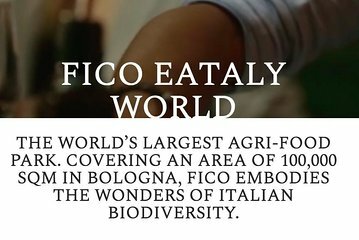 Enjoy comfortable transportation with an English-speaking guide from Florence to FICO Eataly World, the largest agri-food park in the world. Once at the expansive park, you choose how to spend your time: visit the farms, talk to the food artisans, learn how olive oil is processed, take a cooking class, shop for Italian specialties, and much more. You are picked up and dropped off at a Florence location of your choosing.